Scent: Fresh and sweet with a somewhat sharp (bitter), earthy/herbaceous aroma. 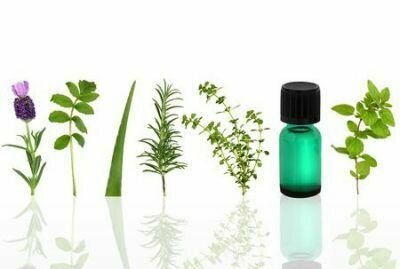 Benefits, Indications: Used in aromatherapy and also found in the food industry, tobacco and pharmaceutical products, and perfumery. The scent has a direct sedative action on the nervous system and is used for restless tension-headaches, stress, and anxiety-related illness, including some sexual problems, but can aggravate depression. Because of its estrogen content, it is an anaphrodisiac for men. Used for dermatitis, rashes, rough skin, ulcers, asthma, spasmodic cough, indigestion, nervous dyspepsia, menstrual cramps, sexual over-activity, headaches, insomnia, neuralgia. Used to calm, promote sleep and relieve pain. Precautions: Recommended to be used in very small quantities and infrequently if at all. Sensitization can occur. Avoid in depression.